Every man wants their suit to compliment their body and fit them well. When buying a suit, there are three options: off the rack, made to measure and bespoke. Read on to learn the main differences between the three styles, their pros and cons and how to know which style is right for you. The off the rack suit is what most men buy. These suits are already made and ready for you to buy and go. While these suits tend to be on the cheaper side of the spectrum, the cost can rise depending on the materials used. While you might not use the phrase “fits like a glove” here, the truth is, an off the rack suit can fit you pretty darn well so long as you have a good tailor to complete a few alterations. The main areas to check are the sleeves and length of the pants. This is the category our suits would fall into. When people speak of “custom” suits, they are usually referring to a made to measure (MTM) suit. MTM suits start from a pattern and then customized according to your measurements and preferences. You pick the style, fabric and details, we take your measurements and then your suit is created! MTM suits are a great choice for men who are looking for that custom fit, without the time commitment or price tag of a bespoke suit. 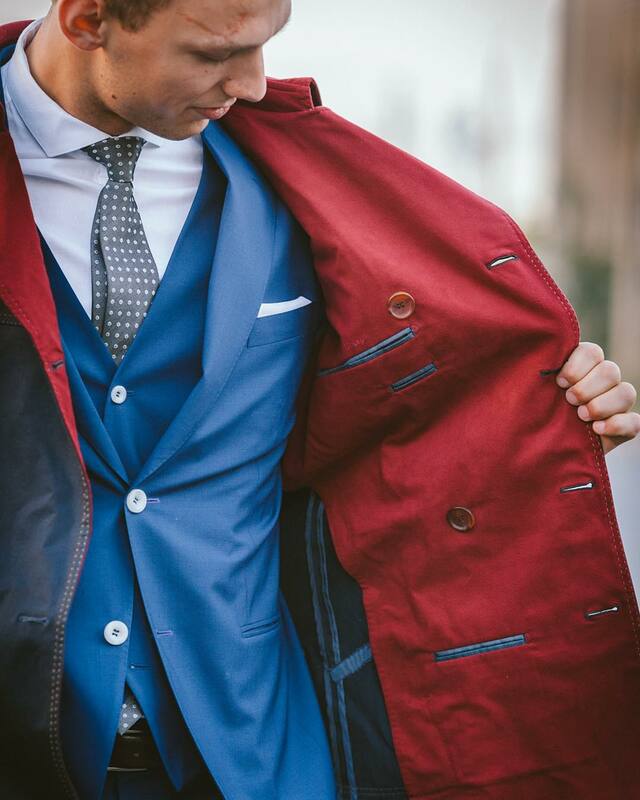 There is often a lot of confusion between bespoke and MTM suits. While both are custom, they are not the same! The main difference between a made to measure suit and a bespoke suit is that with a bespoke suit you have the option to choose the materials used in the production of the suit. MTM suits use predetermined styles and materials that are then created to your measurements. Bespoke suits are pricey, there’s no denying that. The amount of time (and fabric) that goes into a bespoke suit are the reason for the high price tag. Also be ready to wait, the whole process can take several months to complete. As usual, the type of suit you opt for will depend on your individual situation. What do I need the suit for? Is my body going to change (due to growing, weight loss or muscle gain)? Our three step process has made getting a quality made to measure custom suit affordable and easy. Ready in as little as 10 business days, there is no reason not to look and feel great at your next event. Contact or visit us today.